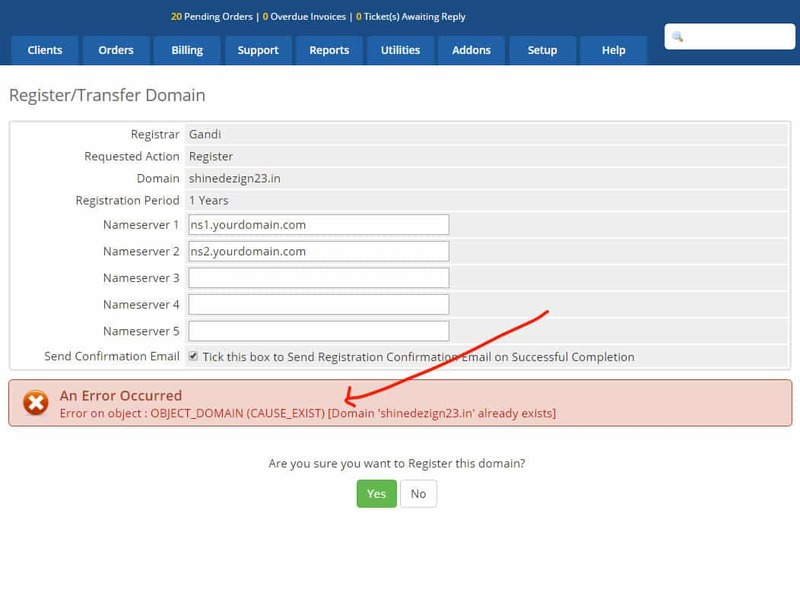 Don’t bind your customers with those boring domain extensions; serve them with the best domain extensions by our WHMCS Gandi.net (Oldest Domain Registrar with 700 + Domain Registrars) modules. 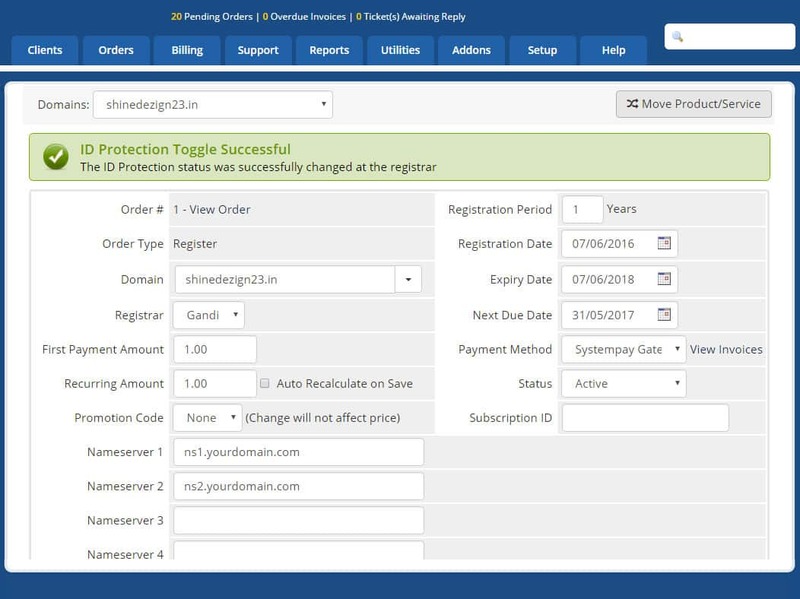 With our module you open the gates for your customers to register/transfer their domains with over 700+ domain extension choices. 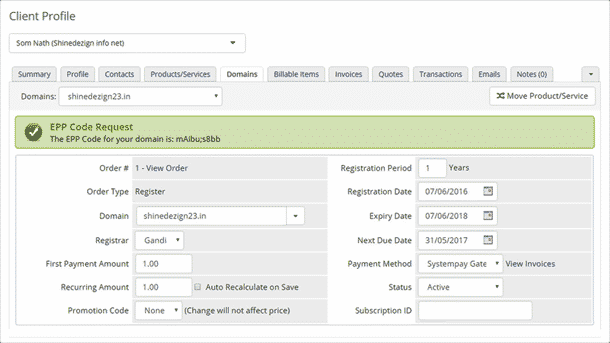 Our module builds a bridge between WHMCS and Gandi.net by providing auto provisioning of the domain after a successful purchase. 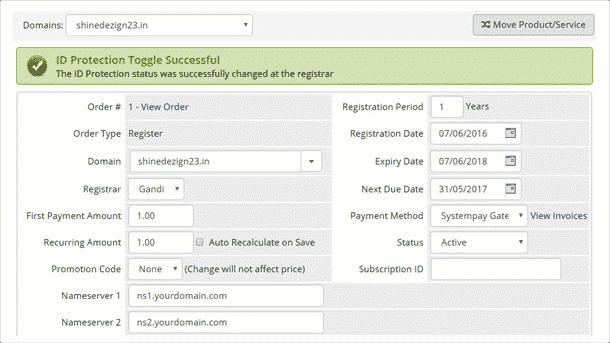 Whenever your customer purchases a domain from your site, our module automatically send a domain registration request at Gandi.net and register the domain there. 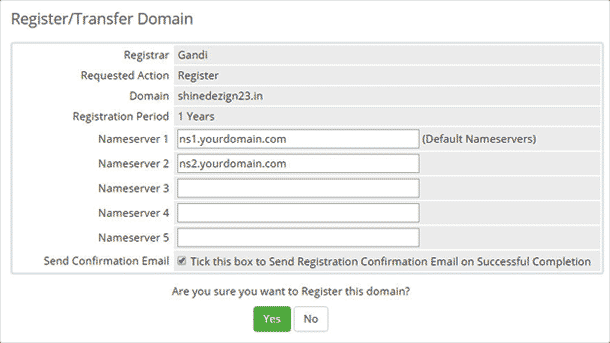 Admin do not need to manually register a domain on Gandi.net. 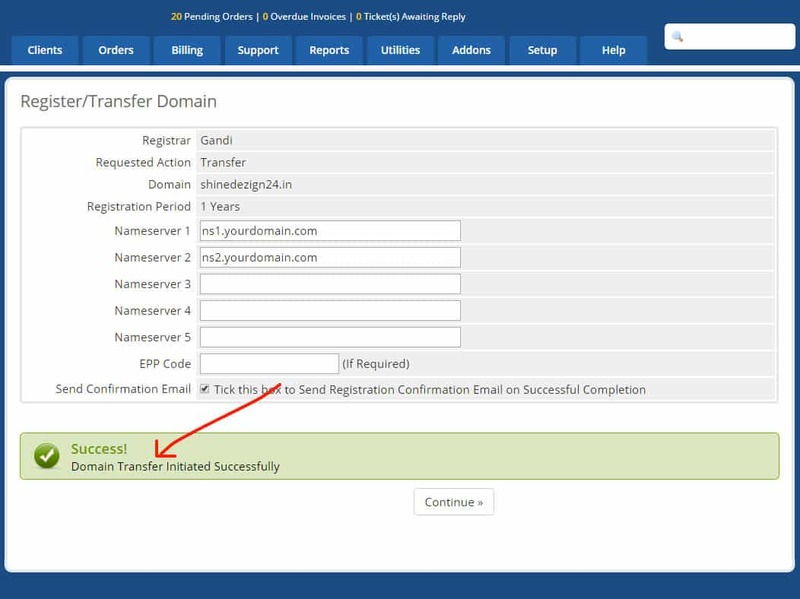 Your customers have the option to transfer a domain to Gandi.net in case if the domain is purchased from another third party domain registrar. 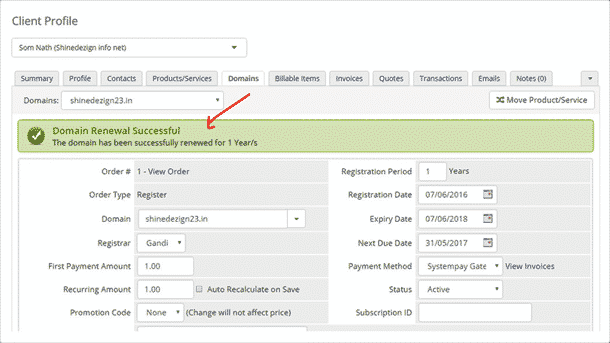 They can also renew or cancel the domain from the client area with ease. 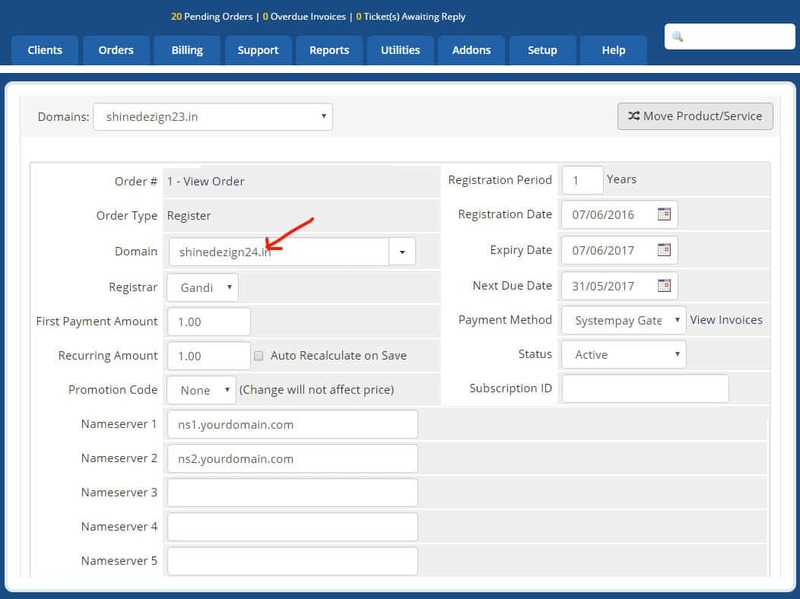 With this module you provide your customers an option to update their name servers in case they planned to migrate their hosting from your website to any third party hosting provider. 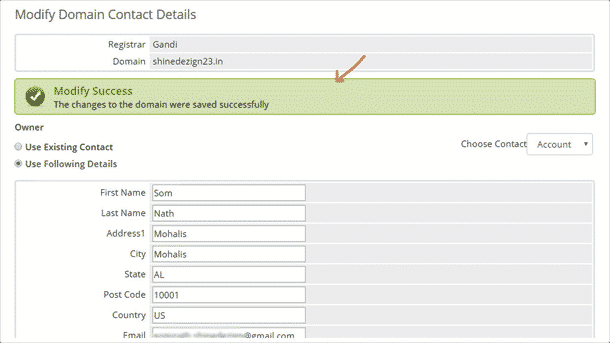 Allow your customers to manage their contact details while registering a domain. 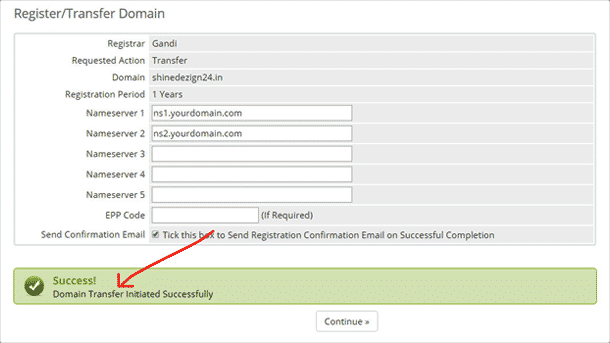 If your customers want to transfer their domain from your website to another domain registrar. 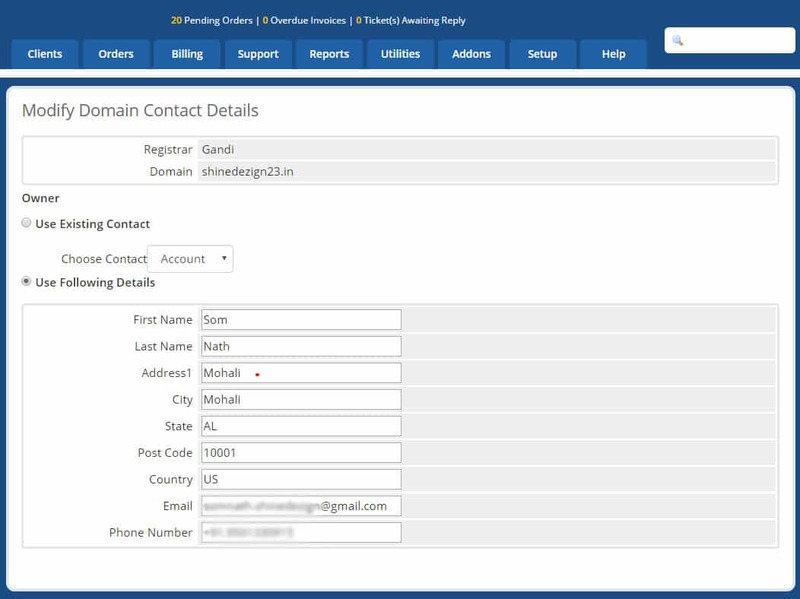 They can simply generate an EPP code with our module and relocate their domain. 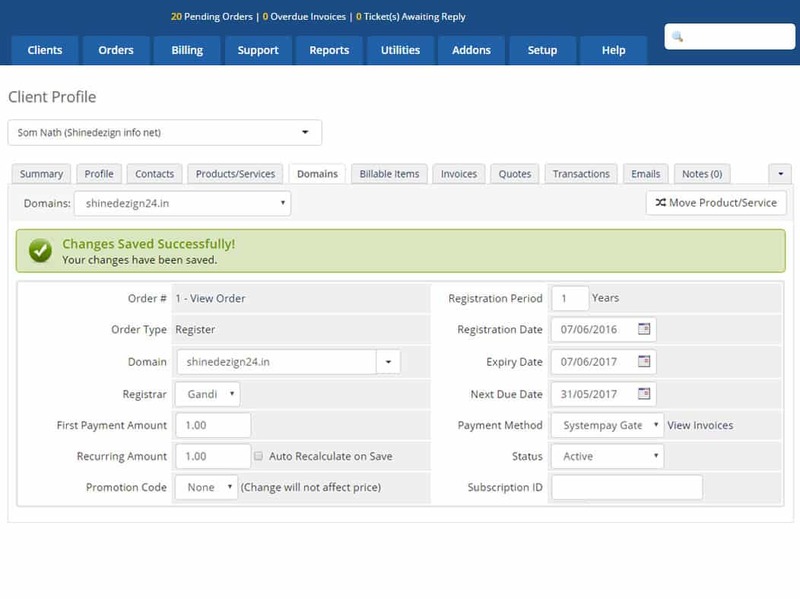 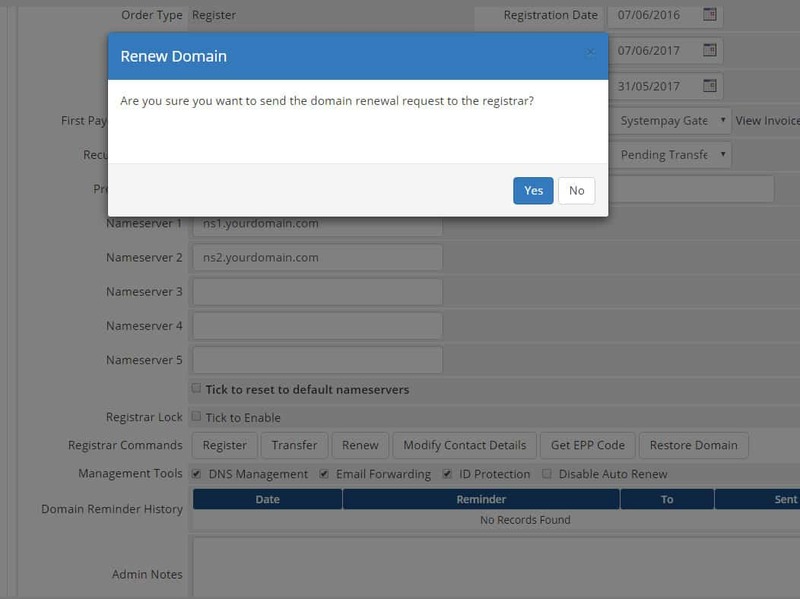 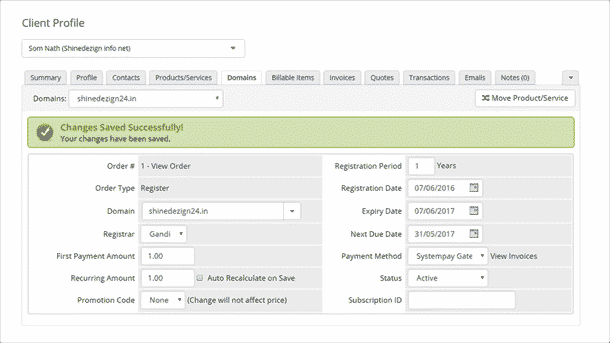 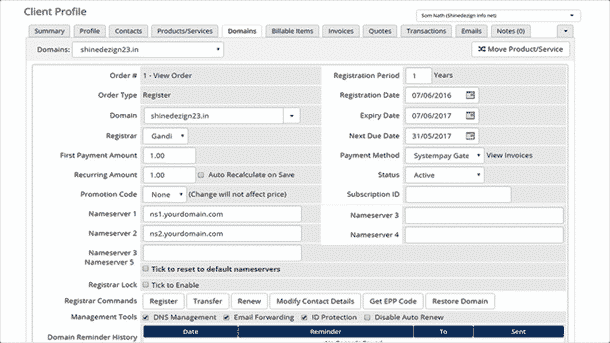 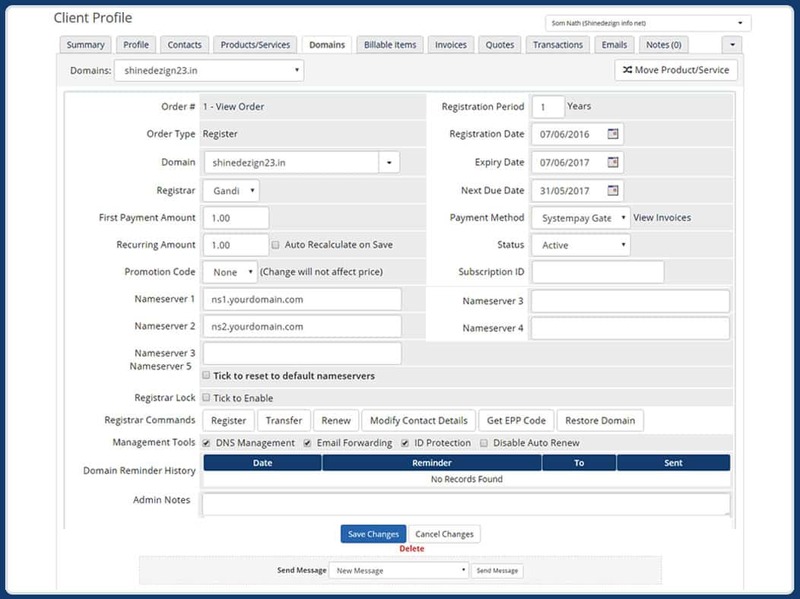 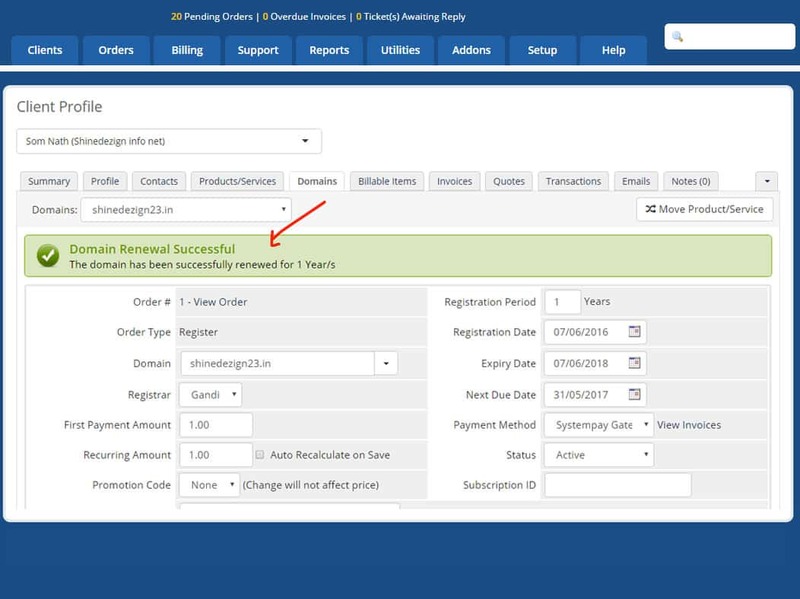 Your customers can enable or disable the domain auto renewal process in the client area. 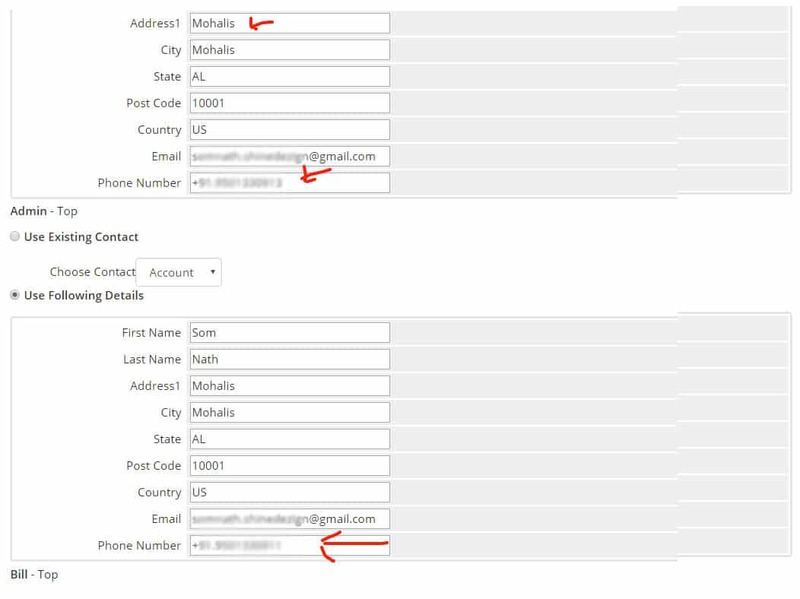 You can allow your customer to create/delete/rename their own name servers that are corresponding to their own domain. 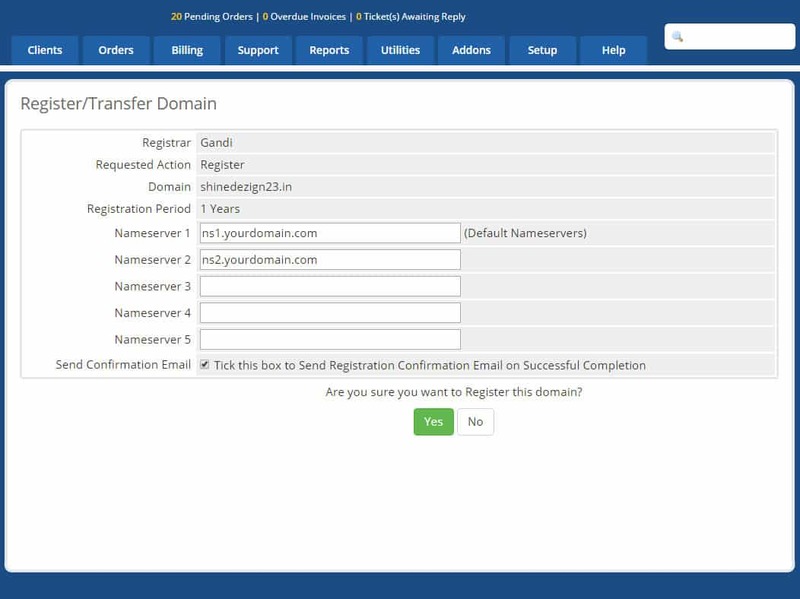 Admin have the controls to lock or unlock the transfer of domains on the website via our module. 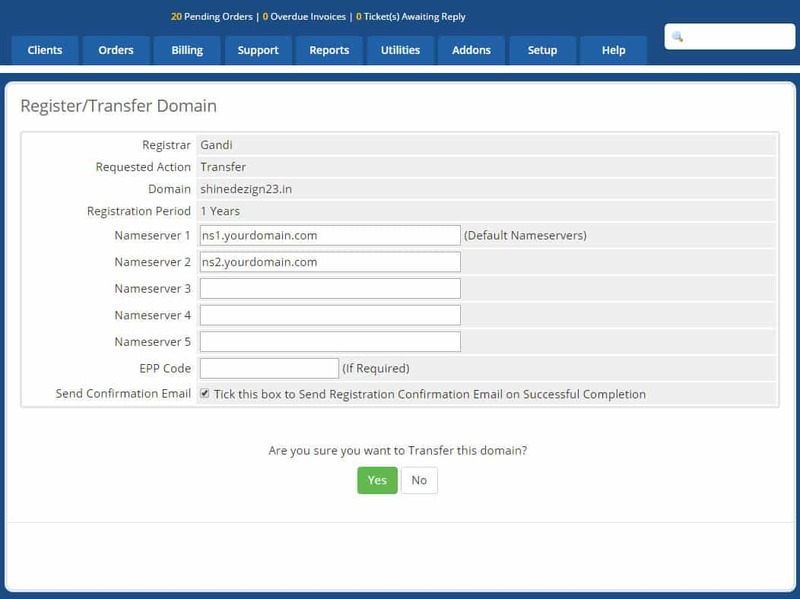 This will help to prevent any hacking attempt by transferring the domain. 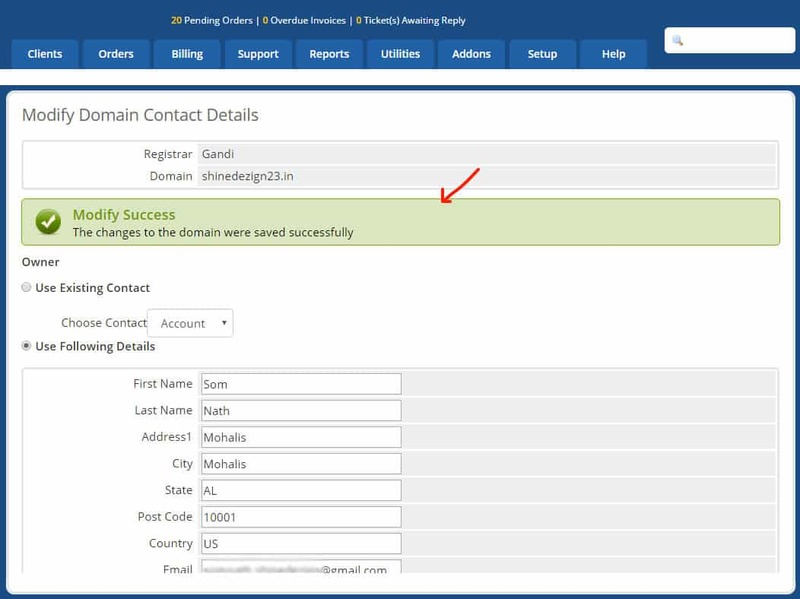 Allow your customers to manage the DNS records in the client area.